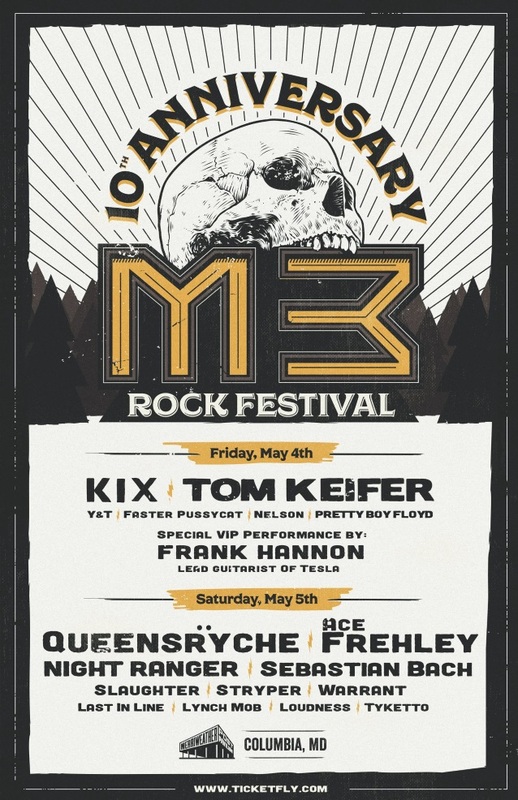 Fan-filmed video footage of Sebastian Bach‘s May 5 performance at the M3 Rock Festival at the Merriweather Post Pavilion in Columbia, Maryland can be seen below (clips uploaded by YouTube user Jennifer Harrell). Bach was particularly thrilled to be once again working with John 5, whom he described as “just incredible. Everybody knows him and he is one of the greatest guitar players in rock and roll. “Some people always want me to reunite with the old band, but think of it this way — I get to make records with John 5. So that’s pretty amazing,” he added. Bach hasn’t released a full-length disc since “Give ‘Em Hell”, which was criticized by some for sounding “too modern” and a departure from his ’80s hard rock past.